I know what I think when I hear the term savory as it pertains to food. What pops into your mind? Well, those of us here at MSGdish think it’s about time these dictionaries update their databases and include definitions for savory as also being the “fifth taste” or “umami.” We talk about it all the time in our blogs, and it’s very trendy with chefs and culinary professionals. But I digress. Moving on, I’d like to share with you some savory appetizers and side dishes to try during the holiday season. All of these recipes are rich in umami flavor and will have your family and friends oohing and aahing about how inviting (and savory!) they are. I hope you enjoy this special time of year with delicious food and good times with family and friends. 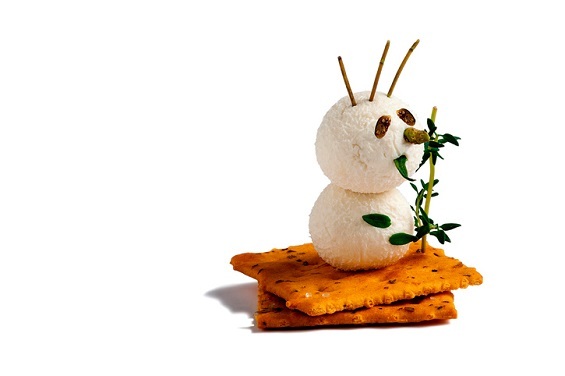 Savor the holiday season! 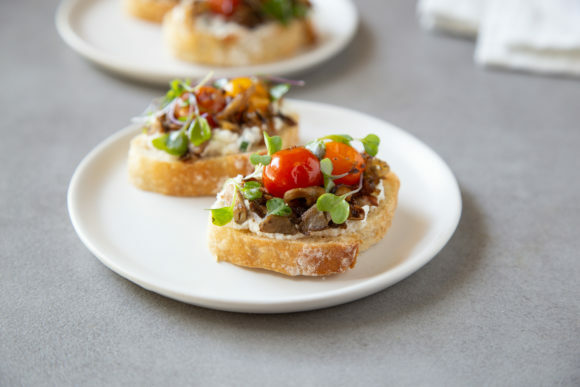 The combination of mushrooms, cheese and tomatoes make this unique appetizer quite the umami bomb. Stir together the ricotta, chives, 1/8 teaspoon fine sea salt, and ¼ teaspoon of the black pepper in a medium bowl. Cover and set in the refrigerator until ready to assemble the toasts. Heat the 2 ½ tablespoons of olive oil in a large skillet over medium heat. Add the shallot and cook for 90 seconds, stirring often. It will brown a bit in the oil as it softens. Add the mushrooms. Cook for 2 more minutes, stirring often, until the mushrooms darken and shrink. Add the tomatoes, continue to cook stirring constantly, for about 3 minutes, until the tomatoes begin to burst and the mushrooms are tender. If you have some larger tomatoes mixed in, pricking them with a fork will help them to burst. Remove from the heat and stir in ¼ teaspoon salt and the remaining ¼ teaspoon of black pepper. Transfer the microgreens to a small bowl. Toss with the lemon juice, finishing olive oil, and the remaining 1/8 teaspoon of salt. Spread the cheese mixture on toast; top with mushrooms, tomatoes and greens before serving. Allow cream cheese to soften at room temperature for about 20 minutes. Finely chop green onions and dried beef. Mix the onions, beef, Worcestershire sauce, MSG and softened cream cheese thoroughly. Form into ball; roll ball in walnuts. Serve immediately with crackers or wrap in plastic wrap and chill until serving. 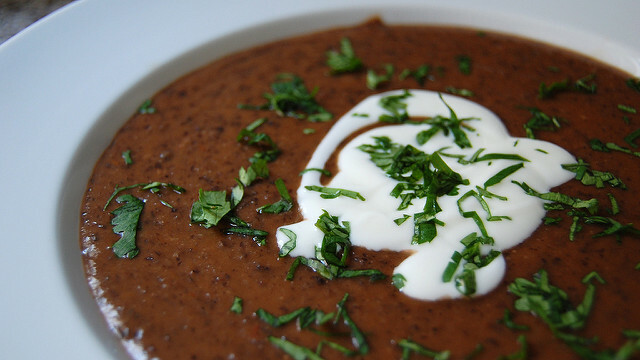 This soup recipe was modified from The American Diabetes Association and The American Dietetic Association Family Cookbook Volume II. It is lower in sodium than that version yet has all the flavors you expect from a hearty soup such as this. Presoak beans in water overnight or use quick-cook method on package. After soaking beans, add salt and bring to a boil; cover and simmer on low heat for 2 hours. Heat oil, add onions, and sauté about 5 minutes. Add green pepper and sauté until onions are tender. Stir in remaining ingredients. Add about 3/4 cup hot bean liquid, cover and simmer 10 minutes. Add onion mixture to beans and continue to cook 1 hour, stirring occasionally. Serve with rice, if desired. Photo credit: Flickr user, K.B.R. Combine first 9 ingredients thoroughly. 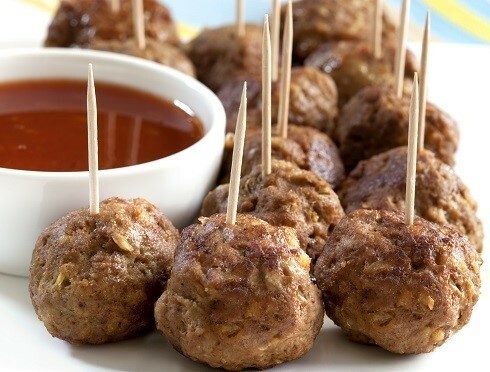 Form into 3/4" meatballs by using a melon-baller to scoop the meatballs; roll balls between the palms of your hands to shape them; set meatballs on a cookie sheet as you go, and chill to set them. NOTE: do not precook the meatballs. Combine jelly, chili sauce, soy sauce and ginger in a large deep skillet or serving pan over low heat. Stir until smooth and heat to boiling, stirring frequently. Add meatballs; bring back to a boil; reduce heat, cover, and cook over moderately low heat for at least 30-40 minutes, turning gently once. If desired, blot the surface of the sauce with paper towels to remove any grease. (Note: There should be little or no grease if you use lean ground beef.) If desired, adjust sauce seasoning with salt and pepper to taste. Serve hot in a chafing dish or keep warm in a small crockpot. 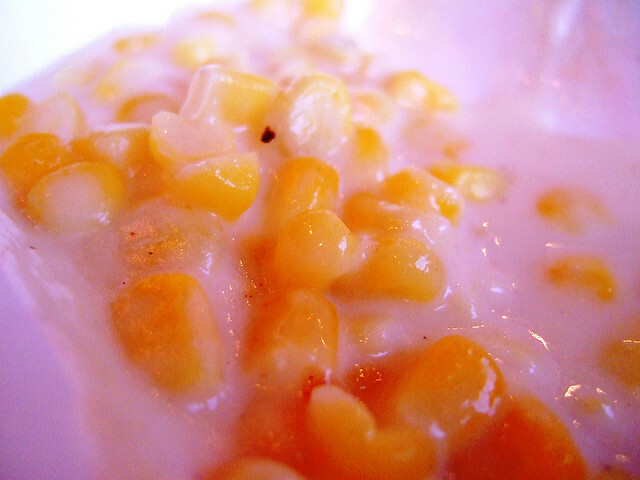 Place corn kernels, whipping cream, milk, salt, MSG, sugar, and pepper in a large stockpot. Bring to a slow, low boil beginning on medium heat, stirring frequently. Simmer for 5 minutes on low heat. Melt butter in the microwave, or in a small saucepan on low heat. Whisk in flour until smooth. Stir into the corn until well blended. Serve hot. Popular brands for MSG that you can most likely find in your local grocery store in the spices/seasonings section: Accent, Ajinomoto or Vedan brand. 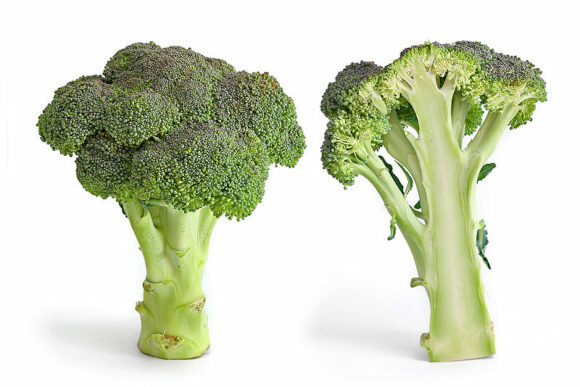 Cook vegetables as directed. Drain and pour into 2 quart casserole dish. Melt butter on stove. Stir in flour and seasonings, stirring until smooth. Remove from heat, stir in milk. Replace on heat and stir over low heat until thick. Sprinkle onion, pimento and cheese over vegetables; pour sauce over all. Top with crackers and paprika. Bake at 350 degrees F for 45 minutes. Ah, Brussels sprouts, those little cabbages that my mother desperately tried to get us to eat. This particular recipe already has a terrific umami flavor thanks to the miso paste, but I still use a sprinkle of MSG. Cut off the brown ends of the Brussels sprouts and pull off any yellow outer leaves. Cut them in half lengthwise. Mix the oil, miso paste, maple syrup, vinegar, tamari, MSG, and Sriracha together in a large bowl. Remove about 1 tablespoon of the sauce and save it to toss with the Brussels sprouts later. Add the Brussels sprouts to the bowl and toss to coat them with the sauce. 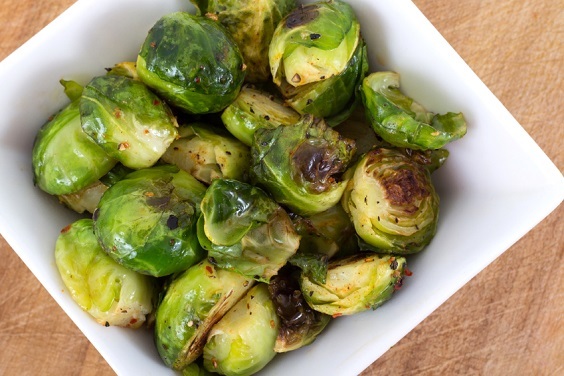 Transfer the Brussels sprouts to a baking sheet sprayed with olive oil cooking spray, and spray them once or twice during cooking. Remove the tray from the oven and drizzle the reserved sauce on top. Toss to combine. Serve warm. NOTE: For a change of pace, add these Salt and Vinegar Broiled Fingerling Potatoes to the menu in place of (or in addition to) sweet potato casserole. The MSGdish Team wishes you a joyful Holiday Season. 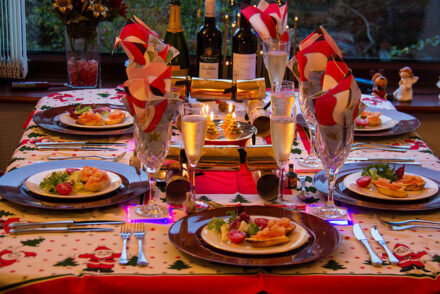 May your holidays sparkle and shine, especially while you dine! Kaye is an author and consulting nutritionist with more than 15 years’ experience representing clients in the food industry, providing strategic leadership and consulting on meal planning, recipe development, consumer-focused educational materials relating to food and nutrition, science-based communications, and media relations. Read more about her background on the About page.